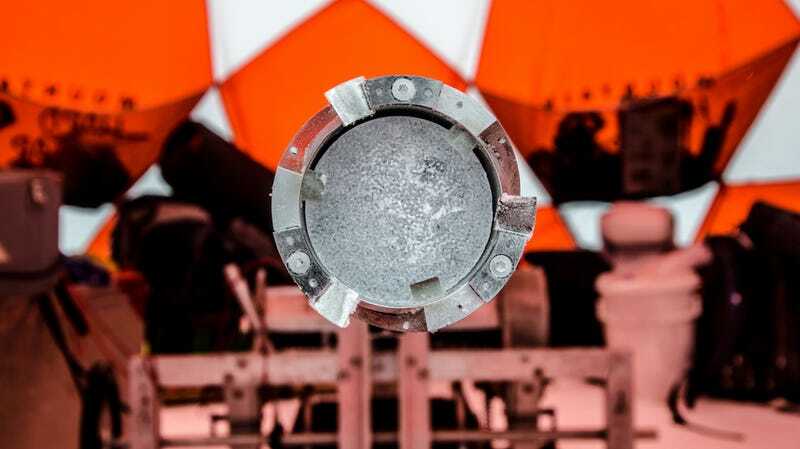 A Greenland ice core in a drill barrel. “The real take home message is it’s just in the last two decades we’ve seen this unprecedented increase in runoff,” Sarah Das, a glaciologist at Woods Hole Oceanographic Institution and co-author on the study, told Earther. The watery edge of a glacier in west Greenland. This study is just the latest indicator that all is not well for the world’s second-largest ice sheet. A 2016 analysis using satellite-derived gravity data found Greenland lost a trillion tons of ice between 2011 and 2014. While huge chunks of ice popping off Greenland’s margins get more attention, the steady runoff of water from its surface is currently the largest contributor to Greenland’s rapid slim-down.